Today on LGBTQReads we’ve got a first for the site: a guest interview! Judith Utz, owner and curator of Binge on Books and Open Ink Press, chats with debut author Liz Jacobs about her upcoming New Adult romance duology, beginning with Abroad; her personal experiences as a queer immigrant teen; and what makes this debut so genuine and hard hitting. College might seem like the perfect opportunity to let loose and party, to revel in the chance at being alone, adult-free for the very first time in your life. And even though that’s definitely one aspect of the college experience, there are so many more that define it. Growing up, discovering parts of yourself you never knew existed, and ultimately coming of age is the crux of the new adult experience. 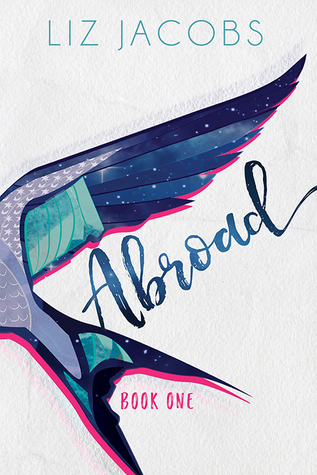 With a sharp wit and unflinching portrayal of the ups and downs of college life, Liz Jacobs will blast onto the New Adult scene on June 27th with her stellar debut, Abroad. Russian-born, Jewish, and questioning his sexuality, Nick is an American who decides to uproot his life in the States to spend one year of college abroad in the UK. That too-brief-span of time serves to define and change who he will become. Struggling to understand himself, his identity, and his constantly shifting feelings about his past, Nick discovers that home and identity are not limited to family or even a homeland. He also learns to trust himself and his own needs, and begins finding friendships in the most unlikely of places. Interwoven into this is a fragile love story that may or may not withstand the year. Liz Jacobs’ debut is a sophisticated and refreshing take on the New Adult novel and she caught up with me recently to talk more about this book and what it means to her. 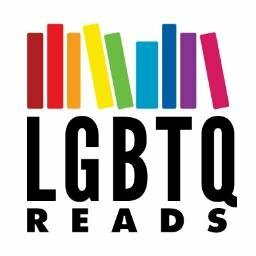 Judith for LGBTQ Reads: Welcome to LGBTQ Reads! Please tell us all about your debut, Abroad. Liz Jacobs: Abroad is, to me, a romance, and it’s also a story of coming into your own. It’s about identity and how we hide from ourselves and from others. A lot of it is about one’s cultural identity and what happens when “outsider” identities intersect and how. For instance, Nick has always been an outsider in some sense–in Russia, he was a Jew. In America, he’s Russian. And that’s just for starters. For Dex (Nick’s love interest), it’s being black, it’s being queer, it’s being brilliant and having to carve out space for himself because nobody else will do it for him. For his best friend Izzy, it’s a whole journey of self-discovery she doesn’t realize will happen. It’s also very much about that liminal space at the end of college when you know you’re leaving security behind. It’s also about made families, queer spaces, and people uplifting one another. Judith: So when did you first have the idea to write this story? How many iterations has it been through? Liz: I always knew I wanted to write something like this story, because immigrating remains one of the most defining moments of my life. I remember being in sixth grade, speaking zero English, and thinking, “how would I write about this?” I think partly because the experience was so viscerally difficult, it felt like I had to get it out or it would rot inside me. But I didn’t know how to tell it, I didn’t know the angle to take, what to do with it, until I realized that I could write a romance. Then, it coalesced super easily. But it was years of trying different approaches in my mind before this came into being. Then I sat down, wrote the first scene, and it just kept going. In terms of iterations, I’d say it’s one and a half, because the story was always this, but in speaking to someone about it, we realized that it was too much story to be contained in one volume. Also, Izzy’s character was elbowing for her own space, so once she got a POV, it really clicked fully. Judith: Nick’s experience as a queer, Jewish Russian immigrant mirrors your own experience. Would you say that makes this story autobiographical? Liz Jacobs: Let’s say, it’s “heavily inspired by” my life, though it is definitely its own story, with its own trajectory and conclusions. But I would be lying if I said that Nick’s character and experiences wasn’t based on my own. I wrote him through that lens, and it was important for me because for years, I kept a lot of this stuff inside, either through fear or the conviction that nobody would want to listen, and it has felt really wonderful, actually, to let this story out. So, not fully autobiographical, not entirely fictional. Judith: Since it is so heavily inspired, did any of your own experiences infuse Nick’s story? Liz Jacobs: Yes. Actually, the opening scene is lifted directly from my own life, pretty much verbatim. It has stayed with me for over a decade. It’s one of those “I think about this way more than I really should” moments. It was such a strange moment of cognitive dissonance, realizing that the person sitting next to me who presented very much as maternal and nurturing was holding some exceptionally xenophobic and harmful views with no idea that she was hurting me. The rest, I think, are just little touches, and largely fictional. Judith: Have you always been a writer? What’s the first thing you wrote? Liz Jacobs: I have been. I honestly can’t remember what the first thing I wrote was, and I have a feeling it’s through a sense of self-preservation (I was thirteen or thereabouts). Actually, I just remembered that I wrote a LOT of self-insert Mary Sue fic on a message board at 14-15. Really, I just haven’t stopped writing. I can’t remember a time when I didn’t write. It’s always been my constant, I can’t stop myself. Except for when I’m under deadline, and then my brain blocks it for me. Judith: What’s a question you hope readers ask you about Abroad? Liz Jacobs: The first name that comes to mind is, honestly, Anne Frank. She was the first person who made me think I, too, could be a writer. She was also a scared Jewish girl whose inner world was so much bigger than the outside world allowed for. Her words made an indelible impact on my life. I’d say another big influence is Jamie O’Neill, author of At Swim, Two Boys. This book blew me away when I read it at 20, and it continues to blow me away now, every time I pick it up for a reread. The way he brings the reader into each scene, how every character has their own voice, the sheer impact of his work–it’s almost magic to me, except better, because it all sprang from his mind. It took him a decade to write this book, and when you’re reading it, you can see why. That level of dedication, to me, is incredible. There’s another writer who few people outside Russia know about (and, actually, not so many in Russia, either) named Frida Vigdorova. Her writing had such a heart, such an intimacy to it, it made me yearn to write as well as she did. I’m still yearning for it. Music wise, I’d say Tom Waits, being the giant weirdo that he is! Honestly, I feel like if Tom Waits can make a career out of being a (incredibly talented) whackadoo, why can’t I try? Other than that, it’s hard to say, because I often feel like I’m an inspiration sponge–I just soak everything up and then stuff comes out without me realizing. Judith: Speaking of writing influences, of all the authors out there, who would you most want to write a book with and why? Liz Jacobs: The first person who came to mind was Roan Parrish, because I adore her writing and think she’s amazing. Where We Left Off is one of my favorite books of the last, like, several years. (Hi, Roan!) I also have a friend I’ve written with in the past (let’s call her B) and would love to write something new with her. (Hey, B) I love co-writing, and it also scares the bejeezus out of me, because it brings out the biggest control freak AND self-critic in me, but it can so gratifying and so much fun. You never know! Judith: And lastly, what else have you written? What’s up next? Liz Jacobs: Abroad: Book Two, of course! The story is very much not done at the end of Book One, and I’m writing Book Two right now and having a lot of fun with it (when I’m not having angst). I’ve got a whole bunch of things on the back burner that may never see the light of day, but I’m having quite a bit of fun with them, too. I’m writing a queer historical romance that is my happy escape place at the moment about the son of an Earl and a gardener. There’s gardening shed naughtiness. I have another project I’m hoping to develop, but I’m actually a bit superstitious, so I don’t want to say anything about it yet. But it’s YA. Intrigued yet? Debut author Liz Jacobs came over with her family from Russia at the age of 11, as a Jewish refugee. All in all, her life has gotten steadily better since that moment. They settled in an ultra-liberal haven in the middle of New York State, which sort of helped her with the whole “grappling with her sexuality” business.